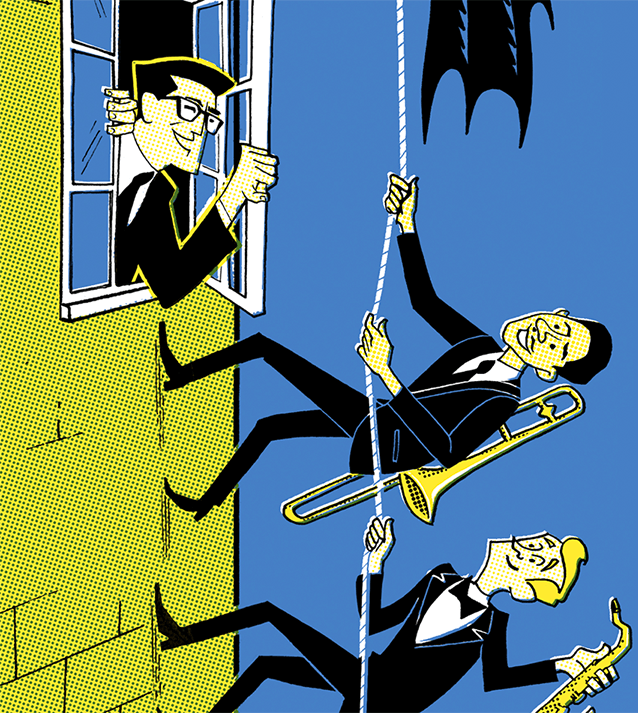 Directed by Jeff Rupert, the Flying Horse Big Band presents ’60s superhero songs with new arrangements by Michael Philip Mossman, Harry Allen, Mark Taylor and more. 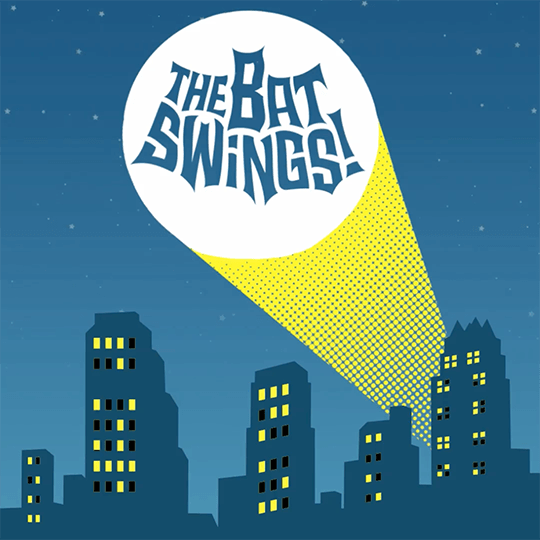 The Bat Swings! 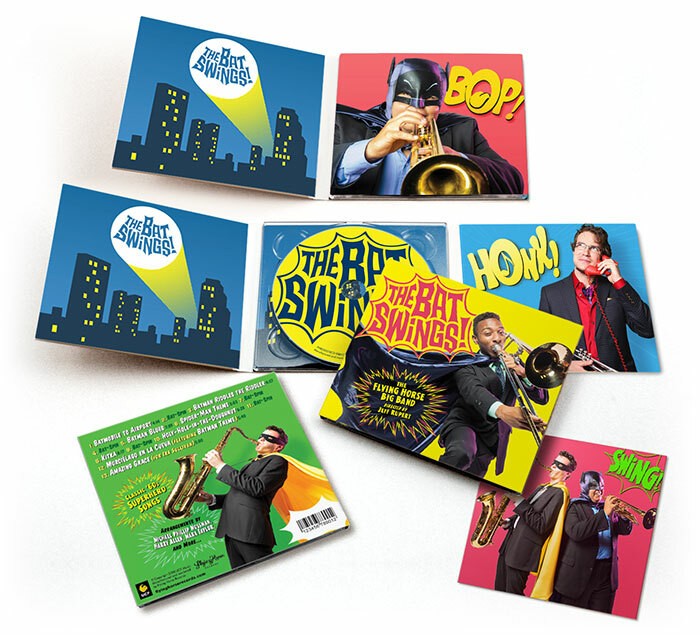 features music from the classic Batman series starring Adam West and Burt Ward. The album includes dynamic tracks by Nelson Riddle and Neal Hefti, two giants of big band jazz in the 1960s. Riddle worked with Ella Fitzgerald and Frank Sinatra, and Hefti’s credits include music for Count Basie’s The Atomic Mr. Basie. Your browser does not support MP4 using the video tag. Available on disc with dynamic packaging and 16-page booklet from UCF's Performing Arts Box Office and CDBaby. The album is available for sale as a digital download from a variety of retailers. 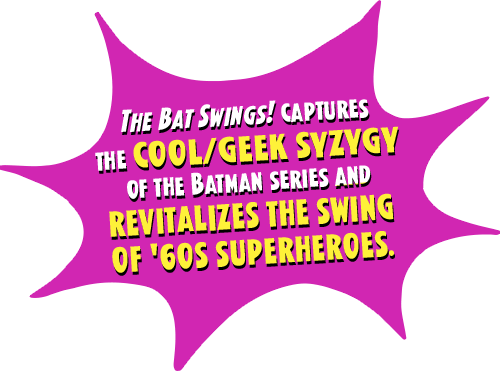 Listen to The Bat Swings! on your favorite streaming platform. Their previous album, Big Man on Campus (2017), hit the top three national jazz airplay charts, reaching No. 7 on the North American College and Community Radio chart, No. 9 on the Roots Music Report, and No. 36 on JazzWeek. Jeff Rupert is an accomplished composer, saxophonist, record producer, and recording artist who has been a featured soloist with artists including Sam Rivers, Mel Tormé, Maynard Ferguson, and Benny Carter. He is currently the leader of The Jazz Professors, director of The Flying Horse Big Band, and conductor of the Florida Symphony Youth Jazz Orchestra. Rupert is a Yamaha artist and founder of Flying Horse Records.